Wilcox Lake Wild Forest is located in the southeastern area of the Adirondack Park and is made up of approximately 125,000 acres of Adirondack Forest Preserve lands in Fulton, Hamilton, Saratoga and Warren counties. The DEC managed Wild Forest unit offers a variety of recreational opportunities, including hiking to the fire towers on Hadley Mountain and Spruce Mountain, camping on Wilcox Lake, and ice fishing on Garnet Lake. The area includes 92 miles of marked trails, four lean-tos, 63 primitive campsites, and multiple parking areas. » Continue Reading. 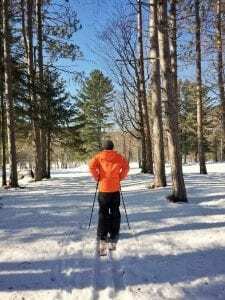 The Tupper Lake Brew-ski returns on February 24 with eight local breweries serving their craft beers along the one-and-a-half miles of maintained ski trails at the Tupper Lake Golf Course. 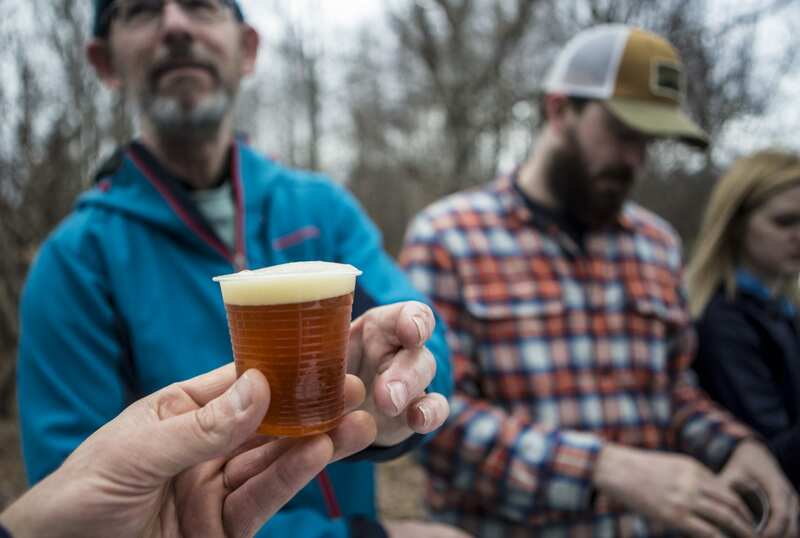 Breweries will bring their beer to several tasting stations along the trails, pouring samples as skiers and snow showers pass through. » Continue Reading. 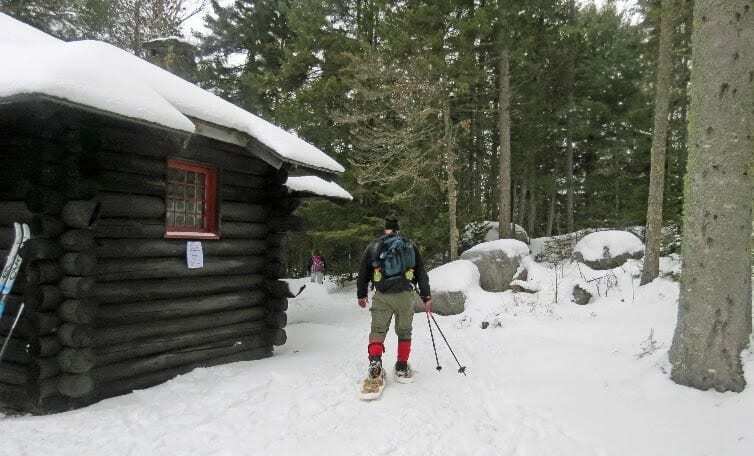 For those who don’t have their own skis or snowshoes, the Adirondack Interpretive Center provide snowshoes free of charge to visitors at the Gate Lodge. » Continue Reading. 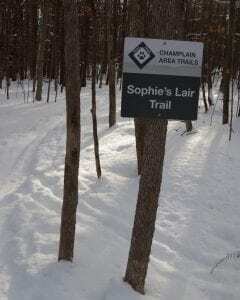 A ski or snowshoe trek has been set for Saturday, February 17th on the Sophie’s Lair Trail in Willsboro. Skiers and snowshoers should meet at 9:15 am at the Florence Hathaway trailhead on Essex Road in Willsboro (look for the tennis courts). The Florence Hathaway Trail, about a half-mile long, leads to the Sophie’s Lair Trail. Overall, the ski/snowshoe adventure will run about 3 hours. » Continue Reading. 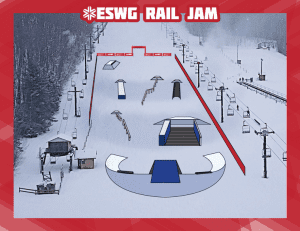 The 38th annual Empire State Winter Games are set to kick off on Thursday, February 1 and will run until Sunday, February 4 around the Adirondack region. More than 2,500 participants are expected to compete in 17 different sports during the three-day multi-sport festival. The event gives amateur athletes the opportunity to compete in world-class Olympic venues in more than 30 events. The Games will kick off with an inaugural Torch Relay departing from New York City. » Continue Reading. Hikers are invited to come with skis or snowshoes— or hiking boots, if there’s not enough snow (which seems likely) — for an easy, family-friendly 3-mile round-trip tour through an old forest above and along the Boquet River. Hikers should meet at the northern trailhead, at the junction of Sunset and McAuliffe Road just west of the Boquet River. » Continue Reading. The Brewster Peninsula Nature Trails system is located on the southwestern shore of Lake Placid, and consists of three trails loops – Boundary Trail, Ridge Trail, and Lakeshore Trail – bisected by an old dirt roadway. The trails wind over gently rolling terrain and are self-guided nature trails that may be explored using the brochures provided at the trailhead by the Lake Placid Garden Club. 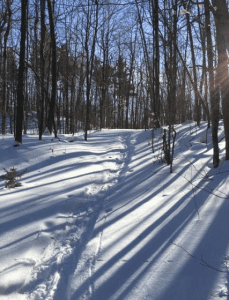 These trails are great for XC skiing or snowshoeing in the winter. » Continue Reading. So while one of the first items on my Adirondack to-do list has been to learn to snowshoe, it’s taken a while to work out the logistics. » Continue Reading. 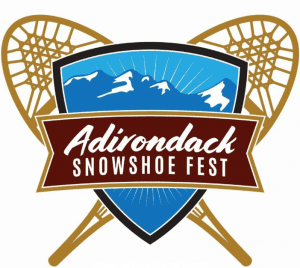 One year after hosting the 2017 World Snowshoe Championships, the village of Saranac Lake is set to host a new snowshoe weekend called the Adirondack Snowshoe Fest, set for February 24 and 25, 2018. The 2017 WSSF World Snowshoe Championships, which attracted more than 400 competitors from over 15 nations, came close to being canceled due to a winter thaw that melted away many inches of snow leaving only bare ground. The region and community came together the day before, trucking hundreds of loads of snow from outlying areas to the Dewey Mountain Ski Center, which was then hauled up-mountain by sleds and spread upon the race course by scores of volunteers who responded overnight by word-of-mouth and social media. » Continue Reading. As we neared the summit of St. Regis Mountain this past January, the conditions changed dramatically. Tree limbs — caked in snow and ice — hung down over the trail, and as we walked crouched through the tangle of branches, snow cascaded upon us. The conditions slowed our travel, but the scenic beauty more than compensated for any inconvenience. The coating of ice and snow on the trees gave them a surreal quality as they glimmered in the afternoon light sneaking through the clouds. We soon emerged from the snow-covered woods onto an open expanse of rock covered by a layer of light snow. » Continue Reading. 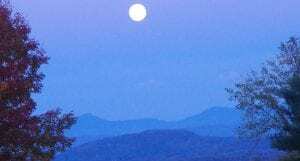 March 18th and 19th is the last Great Camp Santanoni Winter Weekend. Visitors can ski or snowshoe to Camp Santanoni, the restored 19th-century “Great Camp” in Newcomb and walk through the Main Lodge, boathouse and other buildings. Volunteers from Adirondack Architectural Heritage (AARCH) will lead tours and talk about the history, design, and family life at this unique, state-owned historic site. Visitors may warm up by the wood stove in the Artist’s Studio on the shores of Newcomb Lake, and enjoy complimentary hot beverages (bring your own cup). » Continue Reading. 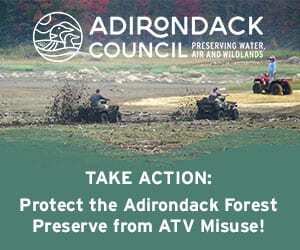 The New York State Department of Environmental Conservation (DEC) is advising backcountry downhill skiers, hikers and other outdoor enthusiasts that fluctuating temperatures of late have increased the risk of an avalanche in the High Peaks Region of the Adirondacks. 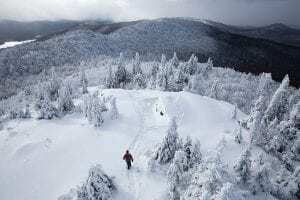 “Recent storms have resulted in a significant amount of new snow, and we expect an increase in temperatures and the number of recreational enthusiasts visiting the High Peaks to snowshoe, cross-country ski, and enjoy the pristine surroundings,” a statement to the press by DEC Commissioner Basil Seggos said. “We are cautioning anyone planning to traverse backcountry slides and other avalanche-prone terrain in the High Peaks to be extremely careful and be prepared for avalanche conditions.” » Continue Reading. Highlighting fat biking, ice skating, sledding and hot chocolate consumption, Newcomb’s annual Winterfest will take place on Saturday, January 14. Events will be at various venues along the town’s stretch of Route 28N. 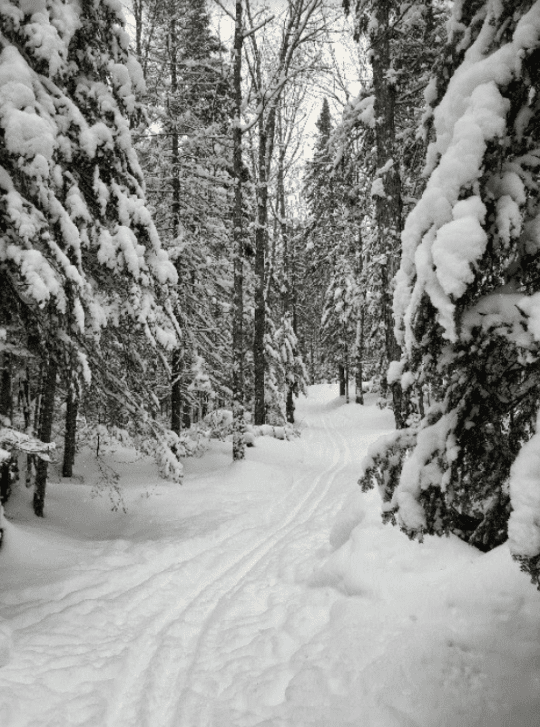 The 5-mile carriage road to the historic Santanoni Preserve will be open for skiers and snowshoersa where Adirondack Architectural Heritage will be holding an open house featuring tours of Great Camp Santanoni. 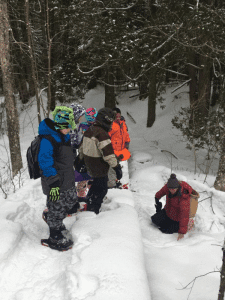 ESF’s Adirondack Interpretive Center will also have skiing and snowshoeing, in addition to the High Peaks Golf Course’s slopes and snowy expanse. » Continue Reading. The first of three Winter Weekends at Great Camp Santanoni in Newcomb is set for Martin Luther King Day weekend, January 14-16. Additional open house events will take place during the President’s Day holiday weekend, February 18-20, and the weekend of March 18-19. 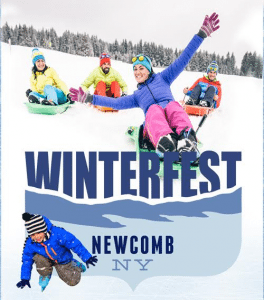 In the community of Newcomb, WinterFest is being celebrated on January 14, coinciding with the first Santanoni Winter Weekend. » Continue Reading. 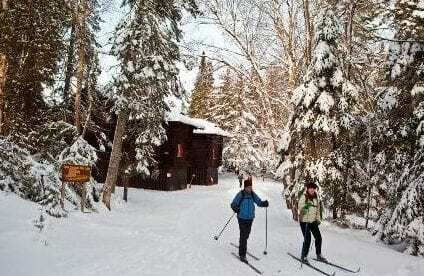 It has been a few years since Bolton Landing’s UpYonda Farm has offered guided snowshoe hikes at the 75-acre property. According to UpYonda Administrator Matt Sprow there is currently more snow on the trails than was available at this same time last year. “We have a calendar full of public programing,” says Sprow. “Our hikes go on, regardless of the weather. Right now the snow is okay. Snowshoes are included in the fee for the hike or people can bring their own. If the weather changes we will still hold our guide hike, but it may turn into more of a walk.” » Continue Reading.